Here we have the Mattel 1:55 scale diecast release of Becky Wheelin! 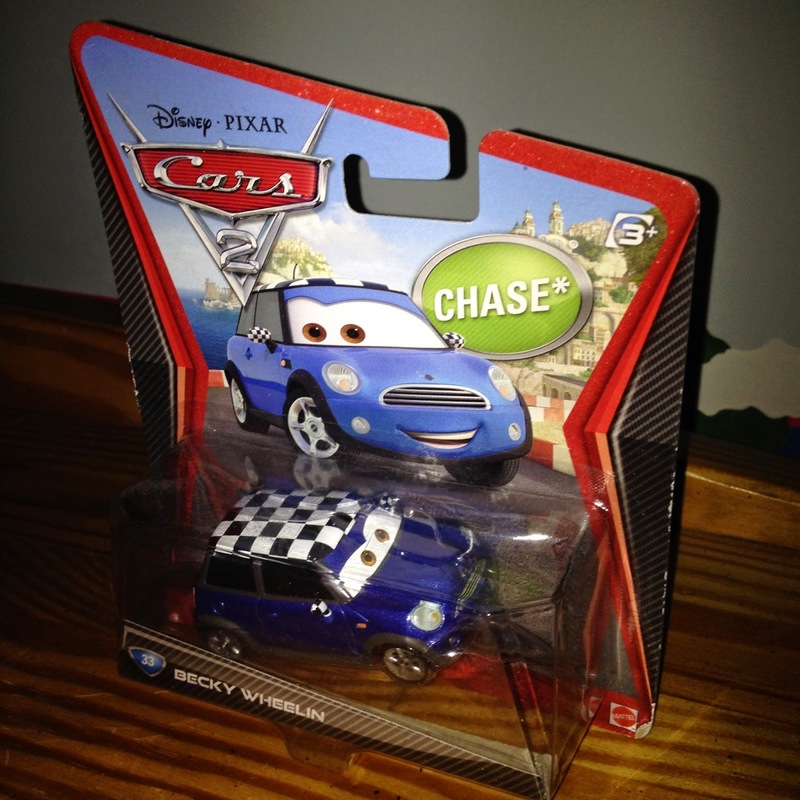 This character was a 2012 "chase" (meaning limited quantities were made which made her more rare) release from the original Cars 2 line (# 33). In the film, Becky is another one of those "nanosecond" background characters. As seen in the screen shot above (bottom left center), she is briefly seen in the Tokyo airport. Don't blink! You'll miss her.